It's that time of the year again - shoebox time! 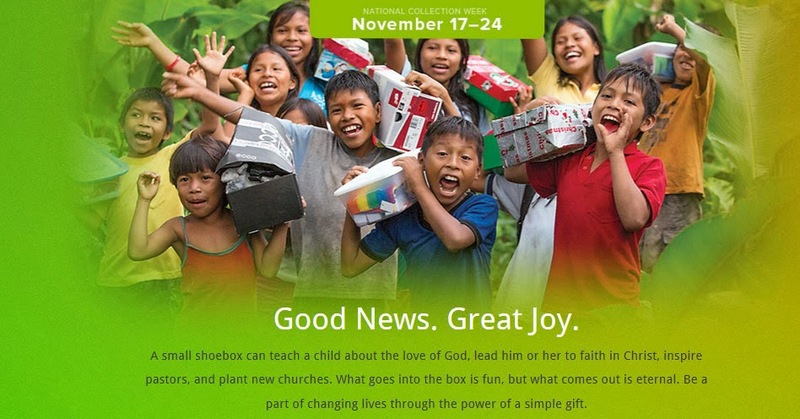 As the national collection week for Operation Christmas Child approaches on November 17-24, we thought it'd be a great opportunity to share how God works through this fabulous ministry. Us Bloom! 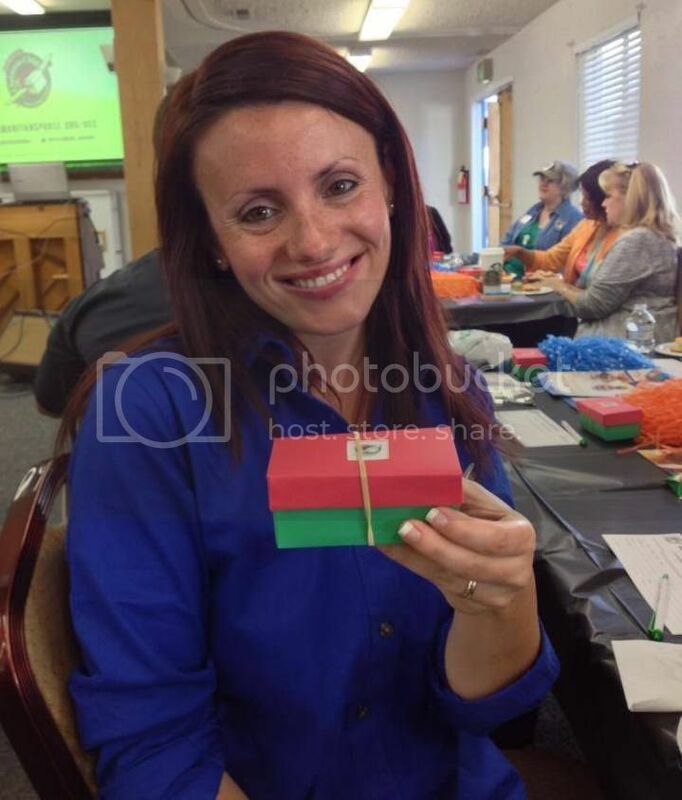 ladies love packing shoeboxes and pray that the Gospel will be made known through each box. Krista talked with her friend Alina, who graciously agreed to share her story of how God used a shoebox in her life. This is part one, with part two coming tomorrow. My name is Alina. I was born 32 years ago in a little communist country in Eastern Europe called Romania. It is a beautiful place, with gorgeous mountains, valleys and the Black Sea. The people are very welcoming but they walk the streets with sad faces, looking like they are carrying the burden of the whole world on their shoulders. There is a lot of poverty and desperation. During communism, people were forbidden to attend churches. The communists used to burn down Orthodox churches and exterminated all Catholic churches during their regime. Protestant churches never openly existed. People used to gather in somebody's home, always in fear to be discovered, heard or suspected by the people hired by the police to spy. If they infiltrated one of these informers in one of these church meetings, all the people would go to jail for life, tortured or executed, together with their families. In my first eight years of life, I don't remember ever going to church. I think my parents wanted to protect us. I don't remember hearing about God... At school we praised every morning our leader, Nicolae Ceausescu, whose pictures were all over the classroom walls, then sing the communist national hymn and just after that we started classes. Of course all the books were filled with patriotic communist songs and poems that we were forced to learn by heart, as well as love and gratitude for our leader. Parades and huge patriotic meetings were organized in his honor very often, being considered and acclaimed like a god. I remember that all the children around me were wearing the same kind of uniforms at school, same color, same cut...and us girls had to have our hair up in two ponytails, tied with two big white bows. I remember being very skinny...but every other child was skinny. We didn't have much food, and not much variety. My brother and I, when we were really hungry and waiting for mom to come home from work, used to turn on the water in the sink, take two loafs of bread, wet them and then put sugar on top and just eat that...we loved it! We rarely ate meat, eggs, milk...and never candies or soda. The food was rationalized by the state and each family received each day a controlled amount of food. In December 1989, a revolution started, that put an end to communism after 41 years. On the 25th, my country celebrated Christmas, freely, for the first time in almost half century. We shined our shoes, put them in the apartment's window and waited excitedly for the morning to come and see if we were good enough to receive a Christmas present. 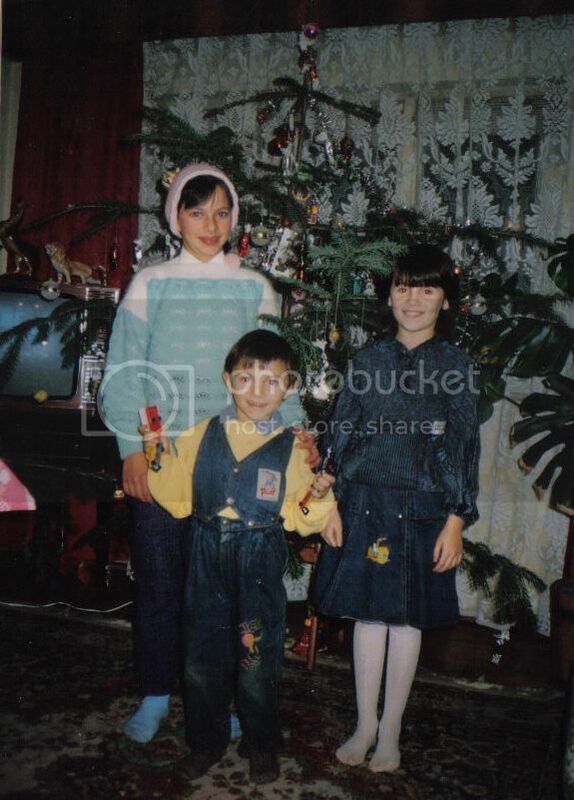 It was in December 1990 when the first shoeboxes came to Romania. I've seen videos of the first convoy and the first distributions in orphanages. I cried. Seeing hundreds of children in one place, suffering from malnutrition and mental retardation mainly due to lack of affection and abuses, opening their shoeboxes and eating chocolates with the wrapping on, because they didn't know what that was. It is an image that will be stuck with me forever. I received my first shoebox in 1991, at the age of 9, my little brother was 6. My mom started attending a small Baptist church that first year of freedom and that is where I got it. We participated in a Christmas program, after which the pastor distributed shoeboxes to the children present there. The children were gathered from the streets and neighborhoods. And we were there too. I still remember the excitement of holding that colorful and shiny shoebox in my hands! I couldn't get home fast enough to open it under one of the first Christmas trees we ever had. What I saw when I opened it was beyond my imagination. Never had I seen so many sweets all in one place, a pink scarf, pink gloves and pink bows for my hair. I have never seen pink bows before since at school they made us wear only white ones. And I was beyond thrilled. The winters are very cold in Romania. Most of the times we had to walk to school in -4 degrees Fahrenheit. So, the new, warm and beautiful things I got were so much appreciated and loved. I also received a small doll, that became my baby... and hygiene products - my own ones. Being a little 9 year old girl, that meant the world at the time. Another sweet memory that I have from that night is about my little brother. Right after my country became free, my dad left for Italy, to find work. We remained at home only with mom, who was working to be able to take care of us. So, after school, I was taking care of my little brother. I was getting him out of kindergarten at noon, took him home, fed him and play with him until mom got back from work. About a year after my dad left my brother stopped speaking. I remember him sitting most of the time in dad's big chair, just staring into nothing. I don't remember him smiling or playing anymore. It was very hard for me seeing him like that, because we were very close and I always felt so protective of him, being the older sister. Mom was becoming desperate, and I remember her writing to my dad to come home, but he couldn't. He just found a job picking up grapes at a farm, and just started putting together some money to send home. My sweet memory of that Christmas, beside my colorful first shoebox, was the image of my brother, opening his own shoebox with wide eyes and a curious expression on his little face...taking every little item out of the box and running to show it to me, with a huge smile on his face, and joy in his eyes shouting “Look, look, I’ve got a teddy bear, and cars, and candy, look!”. That was one happy day and our own Christmas miracle!